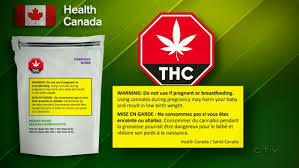 Legalization of cannabis in Canada represents a move neither to accept the herb as part of normal life, nor to accept its consumers as normal people. It is, rather, an attempted trade deal; it attempts to trade legalization for the extinguishing of cannabis culture: the medical, intellectual and spiritual dimensions of the cannabis experience. Bill C-45 allows would-be consumers to purchase dried cannabis legally. But in return, and on pain of prosecution, they must purchase in a way that calls on none of their experience, and as little of their intelligence as possible. Consumers that are renters must accept that they may never be accorded a safe or pleasant harbour for consumption. Property owning consumers must agree to live with the fact that C-45 deepens the class-divide between property-owning and non property-owning Canadians, a divide that was scary enough before this law. Consumers that are patients must accept, in addition, the continued prohibition of concentrates and edibles, and a possible loss of the compassion club that has become essential to their health. Bill C-45, allows retailers to sell cannabis legally. But in return, on pain of arrest, they must model themselves after the post office clerk, who shares with the customer a bond of ignorance; neither knows much about the package changing hands. (Of course, at the post office ignorance serves the interest of privacy. What purpose does it serve here?) If retailers are directors of compassion clubs, they must model themselves similarly, or prepare to face yet another court challenge. If they are general retailers with City licenses acquired before C-45, they must decide to swallow the post office model, or dream up a viable alternative. Back to pop-up markets maybe? If they are growers, they can sell legally. But in return, on pain of facing criminal charges, they must agree to cut all contact with customers, and sell to a central warehouse only. This exchange means no enduring customer relations; no clear grower identity; no exchanges of knowledge. C-45 allows Canadians to consume cannabis. But if they are drivers, they must submit to willfully unreliable drug testing. The list goes on. This week I ran a thought experiment, and strolled through Day One of Legal Bud, courtesy of Bill C-45. Here, in five scenes, plus commentary, is how it looked to me. I am in a new Liquor Control Board-run cannabis shop. Its walls feature a featureless logo; its shelves are lined with sealed packets, identical to the eye, except for size. 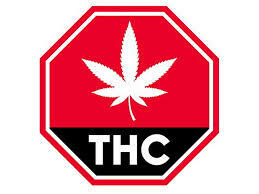 Each bears the image of a red stop sign enclosing the letters THC, looming over a cannabis leaf; and each has a rectangle in warning yellow, listing ill effects. At closer range one can see a strain name, a licensed producer’s name, and a number representing milligrams of THC. Each package contains a measured weight of bud. There are, predictably, no edibles, tinctures, concentrates, or salves. The store clerk knows nothing about the growers, and can give no account of the conditions under which the buds have been grown: indoors or outdoors, organically or not; hydroponically or in soil. I am disoriented. I am used to being able to place my nose close to an open jar, the better to inhale the product’s terpenes. Has this clerk heard of terpenes? I am used to being able to look at a bud, under magnification if I choose. I am used to retailers who know the products, and are competent to discuss the effects of the strains on offer. These are not trivial conditions; they are the observational methods by which I have learned to judge what would suit me. What a strange way to buy agricultural produce, like buying apples in locked box, which I can see only when I’m back home. I will avoid shopping here if I can. The large licensed producers have for some time, been predicting shortages. We’ll run out of product in a week, they’ve said. But this shop has few customers. Experienced buyers, for now, are choosing buy where their experience counts for something. Potential new buyers have been scared off by the warnings: they could become psychotic, addicted, or lung-damaged. I have senior citizen friends that have never tried cannabis, who have said as much. The place is eerie. If this pace keeps up, the new shop will soon be out of business. As I leave, I consider that red and yellow are standard colours of caution, visible on street signs, but also on packets of rat poison, and weed killer. When I get home, I Google weed killer/images. I want to compare the signage. My screen shows me several weed killer packs, coloured red and yellow. Next to these, it also shows me the new Health Canada cannabis signage. Only this last bit is not part of a thought experiment. It is real. Next, I visit my compassion club. On Day One it is business as usual: visible buds, extracts, cookies, salves, and a steady stream of visitors. But the atmosphere is tense. Will the by-law officers visit? Will the police arrive? Will they perhaps leave us alone? The employees do not plan to break ties with trusted growers, or to turn themselves into robo-clerks. But the director does not look forward to trouble. He’s been at this for over twenty years, and has already endured four arrests, and a major court case. He’s tired. He wonders if it’s best to remain quiet, or to advertise the club’s non-compliance. He wonders if there is even a choice. The patients, who are accustomed to a cheerier ambiance, make their purchases and leave, worried and confused. They haven’t had to worry like this for over ten years. I leave, trying to imagine a good fund raising scheme. We’ll probably need it. I pay a visit to a friend who lives in an apartment. We have planned to share a vape. Her landlord, like most, has a no smoke/no vape policy. Thus, we exit her building, and stand on the sidewalk, not too near the entrance, and not too near a window. It is raining, and a bitter wind bites our faces and fingers. For the most part, passers by ignore us. But one stops to tell us off. We’re poisoning the air, he snarls, and being a bad role model for the kids. We’re rattled, and relieved when he walks away. This incident gets us thinking. The new rules hide the product from the buyer, but shove the consumer into plain view for all the world to see. We hear tell that cannabis is bad for teens; we wonder what it does to them, to see their grandmothers exposed to the public, harassed by passing bigots. The new law has made them an easy target. Cannabis calls for a sofa, a cup of tea, and music. I am wondering if I could set a up sofa on the sidewalk, play my banjo, and vape. A sidewalk vape band might appeal. 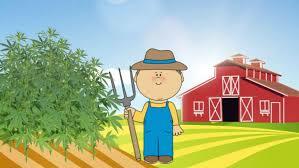 I contact some of the small cannabis farmers with whom, over the years, I have become acquainted. They seem to be carrying on as usual. What do they plan to do, I ask? Will they apply for a micro-grower license under the new system? Most say NO. The cost is prohibitive: thirty to fifty thousand dollars for a consultant (Health Canada is notoriously difficult to deal with, and an experienced guide is essential); the same again twice over for a computer program that tracks seed to sale; and for software to develop and track standard operating procedures; a new building or greenhouse made of non-porous materials; and methods of growing that guarantee an unnaturally low microbe count on the finished buds. The transition requires an outlay of hundreds of thousands of dollars, maybe up to two million. You need family money, or investors. A few have already entered game. How many have been able to do this? About 20%, I hear. What about the 80%? I am listening to the wailing of police sirens, which puts me in mind of law enforcement, post Bill C-45. Police officers depend, for their dignity, on having just and legally defensible laws to enforce. They depend, for their reputation, on being seen to do the right thing. How will they fare in encounters with compassion clubs, or small, informal growers, or extract makers, or cannabis cookie bakers? The newly mandated criminal charges for such activities are severe. Bill C-54 has handed law enforcers a goldmine of increased power, and with it, an expanded area of discretion. They have increased budgets, too. But police officers must think strategically. If they go on a busting spree, though the law is on their side, they put their public image at risk. 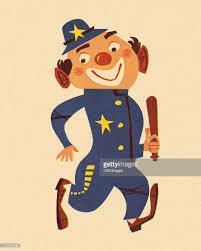 When busts are challenged legally, and the challengers win, police wind up looking like clowns. Canada has already seen a substantial string of such outcomes. Surely being a national, unintentional clown is several degrees worse than being a national robo-clerk in a rubber-stamp shop. It interests me that this Bill will create new categories of victims. Is C-45 good? At this juncture, I say it is a move forward. But as it stands, it is heavily punitive, and depressingly moronic. Happily, it is so riddled with contradiction that we will soon have regulation quagmires, regional uproar, and much litigation. Cannabis culture needs it—that, and a couple of generation’s worth of social adjustment in the anti-cannabis lobby—to be the change it wants to see. Previous article What is Addiction? A Rant for a Rant: Parsing Mr. Trudeau. More Pollyanna sky is falling fearmongering. I’m starting to think some ‘activists’ actually want legalization to fail because it hurts their black market profits. Dear Chuck. Thank you for offering a comment. But it is customary when claiming that someone is fear mongering, to offer some evidence. You ought to be able to demonstrate something that I suggested that is highly unlikely. What is that exactly? I would never purchase my product from a government sanctioned LP. This stuff has already been recalled for harmful pesticides, months after it was sold and most likely consumed. Now tell me the Government has people’s best interest at heart. Why would anyone think government could grow a better product than the ma/pa farmers that have been perfecting this plant for decades. “Activists” see this fake legalization for what it is, a government takeover of a 6B$$ industry. Wynne has claimed she will lose 40M of your tax money first year of legalization . No one but the Government could possibly predict a loss selling pot, insanity at its finest. People need to wake up and see this for the hostile Government takeover that this is. Thank you for you input, Lori. But if my scenarios ring true to you, and you say that they do, why you see my mindset as prohibitionist? Maybe you use the term in a different way from the usual? Would you like to elaborate? Thanks for clarifying. I’m glad you enjoyed the article. Seems to be the same scenes that I see in my mind. This is not the Legalization the public wants and our money is being squandered on more severe criminality, more enforcement, more courts, more jail. Legalization is supposed to mean; less criminality, less enforcement, less courts, less jail. Open the market, license currently operating dispensaries, and the flood in the market will drop the price so that Organized Crime can no longer make any profit on it. Consumers want a product they can trust. They want to know the grower source, conditions, smell, terpenes and customer service agents that know the answers to these questions. 1 of the main reasons for regulation would be to ensure that the products are labeled with strength, and all products are tested for contaminants. Hi Charlie. Thanks you for your comments. I agree with you on allowing the market to flood in order to lower the price of cannabis for Canadians. I think there could have been better directives at the federal level about these matters. I suspect the problem lies in the attitudes of elected officials. I would hazard a guess that most of them have little contact with cannabis culture, and are not really in favour of legalization.